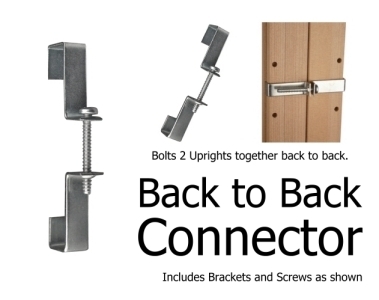 Our Back to Back Connector Set is used to join two shelving sections back to back. 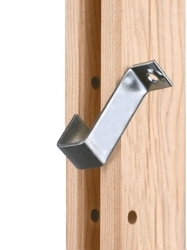 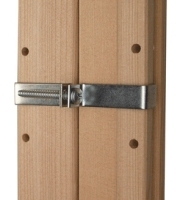 The assembly will bolt the opposing uprights tightly together to form a solid connection without drilling into the wood upright. 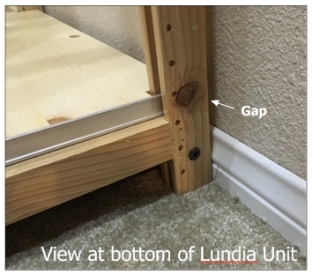 Use this attachment method when base molding creates a gap between wall and unit. 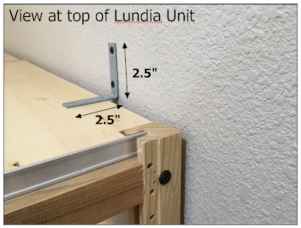 Our "L" Bracket Set is used for attachment when there is a gap between the wall and your Lundia Unit, typically created by floor molding. 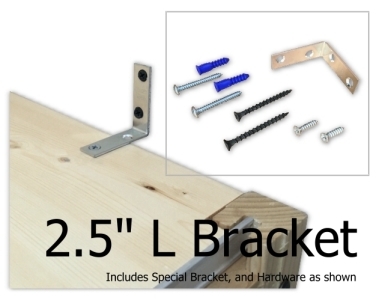 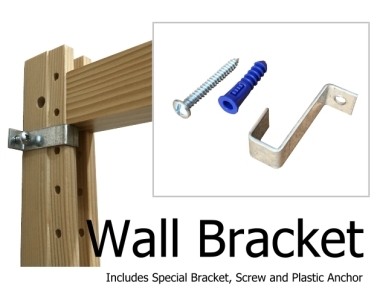 Set includes: 1- 2" L Bracket, 2- Drywall Screws(2"), 2 Plastic Anchors with Screws and 2- 3/4" Wood Screws as shown in above image. 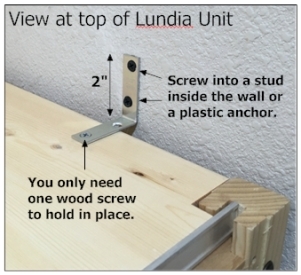 Our "L" Bracket Set is used for attachment when there is a gap between the wall and your Lundia Unit, typically created by floor molding. 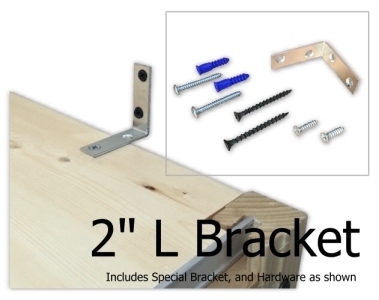 Set includes: 1- 2.5" L Bracket, 2- Drywall Screws(2"), 2 Plastic Anchors with Screws and 2- 3/4" Wood Screws as shown in above image.